In this two-part blog series, Ashley Cowan and Marissa Skudlarek attempt to sort some notable playwrights into their proper Hogwarts House. Anyone else needing an escape from the adult world of taxes and other miscellaneous boring stuff? I am! Which is why I was so delighted when Marissa reached out to me about writing a blog together involving placing playwrights into their respective Hogwarts House. I was like, Marissa, are you Sirius? That sounds prefect. And we aren’t the only ones contemplating Harry Potter “types” in the theatre world these days. Harry Potter and the Cursed Child Parts 1 and II, a world premiere new play based on a story by J.K Rowling, Jack Thorne, and John Tiffany, will be opening at the Palace Theatre in London later next month! But in case you can’t quite afford a plane ticket to England (F you, evil taxes! ), we will celebrate all this magical, theatrical fun Theater Pub blog style. So grab that sugary new Starbucks drink that’s supposed to taste like Butterbeer and read on! Loved those of great ambition. In other words, we’ve got four houses: Gryffindor, Ravenclaw, Hufflepuff, and Slytherin. Gryffindors are daring and bold folks who value a sense of honor. Ravenclaws are witty and steady minded and love academic achievements. 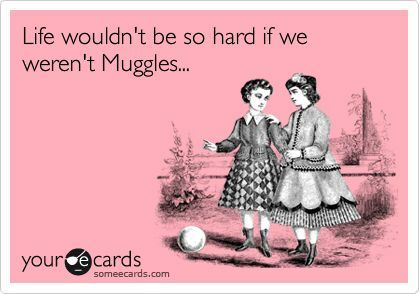 Hufflepuffs are truth abiding, loyal friends who care for others often above all else. And Slytherins are cunning and passionate with a strong focus and drive. There’s so much more to say about each of their characteristics and attributes but I’ll leave that to JK Rowling for now. If you had asked me a few years ago which house I best identified with, I would have told you I saw myself as “Gryffin-claw” (so, a hybrid between Gryffindor and Ravenclaw). It seemed like a good balance for someone who adamantly moved to California against the wishes of her friends and family at the time to follow a dream but who also spent a great deal of time alone reading whatever she could get her hands on while crafting detailed lists of new goals and color-coded schedules. But after researching the Houses a bit more for this blog, I gotta say, I think this Hugs and Cuddles blogger may be more of a Hufflepuff! I’m totally that person that stresses that I haven’t “liked” enough of someone’s Facebook content because I wants to make sure they feel loved and appreciated when I can’t see them in person. And, this should come as no shocker, but Ravenclaws everywhere would be proud to have Marissa as a part of their crew. She’s totally that babe in the library casually taking in another book who will probably forget more facts than I’ll ever know. Marissa is the person you want on your debate team, your trivia team, and the gal you call for fashion advice when you want an authentic, beautiful look to wear to a themed party. So teaming up with her for this blog was a no-brainer. Over a ginger-y cocktail in a dimly lit bar, we chatted about playwrights in between sharing select secrets from our earlier days as writers for the San Francisco theater scene and its residents. It was as delightful as it sounds. So without further ado, here are some of our thoughts as Sorting Hat Hotties. Sorting Hat Marissa: Schoolboy wit, punster, lover of books and ideas, cramming his plays with erudite references, the favorite playwright of the academic classes: there’s no doubt about it, Tom Stoppard is the Head Boy of Ravenclaw House. “It’s the wanting to know that makes us matter,” from Arcadia, is the line that sums up Stoppard’s ethos, and also sums up the key values of Ravenclaw. He also once claimed to write plays because it’s the only socially acceptable way of arguing with himself, and of all the Houses, Ravenclaws are most likely to welcome a good debate and be swayed by a good argument. Sorting Hat Ashley: When I brought up Hammerstein over drinks, Marissa knowingly said something along the lines of, “only a Hufflepuff could help create Oklahoma!” and as the Ravenclaw she is, I believe she’s correct! Hammerstein was a known collaborator, co-writing nearly 900 songs! He was involved with creating a community of artists that would go on to pave an encouraging path for future music makers and lovers. He was known for being fairly sentimental, which seems obvious given his musical theatre resume, but he was also a socially conscious spirit who wrote with sincerity. He guided and influenced countless collectives, filling their hearts with love and music. Well, mine is pretty full, anyway. As Hufflepuffs are thoughtful team players with a strong sense of justice, Hammerstein would be a cherished Hufflepuff alumnus. Sorting Hat Marissa: Another candidate for Greatest Living British Playwright, and another Ravenclaw, though of a less flashy variety than Stoppard. Her plays are coolly perceptive and draw inspiration from a wide range of sources; while they often deal with political themes and reflect her socialist and feminist beliefs, they do not feel polemical (as a Gryffindor’s plays might be). Her work has also gotten more, rather than less, experimental over the years, testifying to her Ravenclaw creativity and questing intelligence. Churchill shuns publicity and does not grant interviews, preferring to let her plays and their ideas speak for themselves – a very Ravenclaw thing to do. Sorting Hat Ashley: I’m linking Eno and Ruhl on this thought bubble because I feel like they share some similarities in their House placements and I go back and forth between sorting both of them in either Hufflepuff or Ravenclaw. I think I’ve landed on Will Eno being a Ravenclaw (who probably marries a Hufflepuff) and Sarah Ruhl as a Hufflepuff with an endless stream of Ravenclaw crushes. Eno writes (and writes) questioning our roles and our humanity while forever swimming in this sea of existential thought and meaningful observations. And Ruhl’s writing often plays like a dreamy poem. Her work seeks to explore love’s communication style and it’s impact on relationships. If Ravenclaw and Hufflepuff had a love child House, I think these two would be in it. But for now, Eno’s wearing a Ravenclaw hoodie and Ruhl’s decked out in cozy Hufflepuff knits. Sorting Hat Marissa: A very smart guy who writes verbose and encyclopedic plays, so there is a temptation to put him in Ravenclaw, but look closer, and you’ll see that he’d do better in Gryffindor. The most memorable moments in Kushner’s plays often revolve around the key Gryffindor trait of bravery: think of Baz’s monologue in A Bright Room Called Day about how he lacked the courage to kill Hitler; or the epilogue of Caroline or Change, where Emmie describes how she and her friends vandalized a Confederate statue. Kushner also values the Gryffindor traits of hope and optimism: he once said “It is an ethical obligation to look for hope; it is an ethical obligation not to despair.” And writing a fantastical seven-hour drama that climaxes with the protagonist going to heaven and arguing with the angels to give him “more life”? You can’t get much more Gryffindor than that. Sorting Hat Ashley: My goodness, y’all. I thought about this placement for awhile. Like four coffees and two episodes of Fixer Upper on Netflix worth of thought. I texted friends and chatted to castmates over it. Because it seems like he could almost go anywhere and nowhere at the same time! Williams was gifted with a beautiful grasp of language but vowed to write honestly, once stating, “I only write about what I experience – intuitively or existentially”, which could be a Ravenclaw thought but also seems like a Hufflepuff promise. And while his characters populate Slytherin and Gryffindor, as a writer destined to tell the truth about social realities and humanity, I think I’m going to keep Williams in Hufflepuff! That’s our start to this glorious conversation; fun, right?! And we’d love your thoughts! Marissa will be discussing a well known writer within the Slytherin House tomorrow but if you have a playwright you think needs to be sorted, let us know so we can keep this Hogwarts party going! See you tomorrow, fellow witches and wizards! It’s A Suggestion Not A Review: Who Needs a National Theatre? In which Dave Sikula decries institutional theatre. 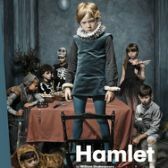 A few days ago, I was one of the many thousands who have been trooping to movie theatres to see a broadcast of Benedict Cumberbatch in the National Theatre’s production of Hamlet. I’ll begin this by saying that I’m generally a fan of Mr. Cumberbatch’s (the film of August: Osage County excepted; but, other than Margo Martindale, no one got out of that movie alive) and was highly looking forward to it. What it lacked for me, though, was any sense of danger or even visceral excitement. In my mind, if Hamlet is anything, it’s everything. It’s a meditation on mortality. It’s a revenge story. It’s a comedy, a tragedy, a ghost story, an examination of the thought process. You name it, it’s got it. There’s so much in it that the one thing it shouldn’t be is routine. It’s not just another play; it’s the play. It’s the role. There’s got to be a reason to do it. Unfortunately, the production I saw was just kinda there, trapped in a concept that had something to so with a big house and a lot of dirt. (Seriously, I felt sorry for the stage crew that had to lug all that dirt on stage at intermission and then clean it all up at the end of the evening.) It felt like the director had a big star and the huge budget that came with him and decided to spend all of it on her set rather than trying to tell her story in a gripping manner. But the specific problem with this Hamlet, to me, was that, since the National is subsidized and paid for by the government, while it may not be swimming in money, it has so much that it can waste it on elephantine sets representing Elsinore. The program cover. A shiny dime to anyone who can explain its relevance to the production. This theory is, of course, arrant nonsense. One would be hard pressed to find a corner of the country where interesting and vital work isn’t being done. Seattle, Portland, Ashland, San Francisco, Los Angeles, San Diego – and that’s just part of the west coast and leaves out Denver, Chicago, Dallas, DC, Boston, Cleveland, Florida, Louisville, Minneapolis, and on and on and on and on. Any of these cities is producing work that can stand with anything done anyplace on the globe, but, of course, most of the country will never see or hear of it because it doesn’t come with the imprimatur of having a London or New York pedigree. It makes sense for the Brits to put an English national theatre in London. The capitol is the center of the U.K.’s entertainment industry. TV, radio, film, and theatre are all headquartered there. But how would we justify placing an American national theatre in just one city? I suppose it would be possible to emulate the Federal Theatre of the New Deal era and have multiple locations and troupes, but the whole point of theatre is to be in that room with those people while they tell a story. Even screening productions in movie theatres wouldn’t be a solution, because, for all our pretenses, it’s really just another movie at that point. This is especially true if the production is recorded rather than live. Those actors are going to do the exact same things in the exact same way for eternity. The spontaneity and reaction to the audience that are at the heart of the art don’t exist. It doesn’t matter if the theatre is full or empty; the performances and production are frozen and will not change. 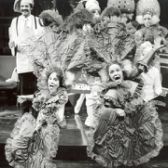 I remember in 1976, Christopher Durang and Mel Marvin’s A History of the American Film (which, I might add, is a very funny show that someone ought to revive – although, frankly, Americans’ knowledge of classic film isn’t as strong now as it was then, so most of the references would be lost) had three simultaneous premiere productions, in Los Angeles (where I saw it), Hartford, and DC. Was one of these more official than the other two? Despite doing the same script at the same time – even if they somehow each had the same design and same director (which they didn’t) – each was different because of the unique casts, venues, and regional receptions. There was no way to centralize the productions, and there never will be. Even a tour, which might be the best/only solution, would have variations from venue to venue. The “Salad Bowl” number from A History of the American Film. But the larger point, even if we could figure out a reasonable solution to the problem, was embodied for me in Hamlet and other shows I’ve seen at the National (either in person or on screen). They can be well done – really well done – but they’re safe and don’t take any risks. I don’t know if it’s that they don’t want to upset their government sponsors or don’t feel any pressure, but it never feels like there’s an imperative behind it. They’re nice to look at and intelligent, but they’re antiseptic. Now, don’t get me wrong; I had no prejudice against the production because it had a big star in it. As I said, I him and actually applaud him for doing it. And there’s nothing wrong with big names in plays. I couldn’t have enjoyed Kevin Spacey or Nathan Lane in their own productions of The Iceman Cometh or Peter Falk and Joe Mantegna and Peter Falk in Glengarry Glen Ross, Harold Pinter in (yes, in) Old Times, or Patrick Stewart and Ian McKellen in Waiting for Godot any more if I’d tried. 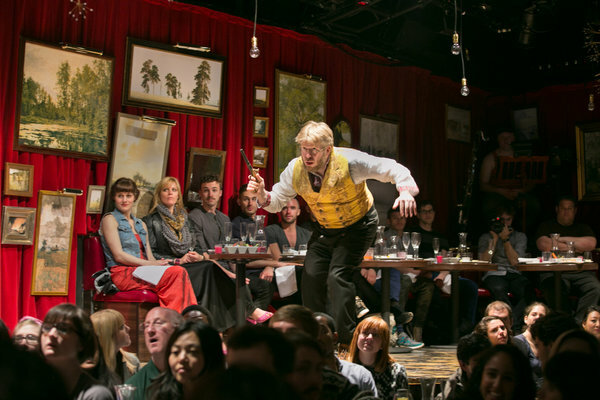 The shows I’ve loved the most in my life – Ariane Mnouchkine’s Théâtre du Soleil production of Richard II, Mary Zimmerman’s Metamophoses, José Quintero’s The Iceman Cometh, Peter Brook’s Mahabharata, Dave Malloy’s Natasha, Pierre & The Great Comet of 1812 and Ghost Quartet, even Casey Nicholaw’s The Drowsy Chaperone – were big and bold and personal and even messy in places, but there was a recognizable artistic sensibility behind them. They were shows that had to be done. Mr. Malloy in Natasha and Pierre. If that kind of listless programming is the cost of creating a national theatre that doesn’t take enough chances to endanger its funding, I’ll take regional theatres that at least try something different.